A toothbrush is an oral hygiene instruments that cleans your teeth, gums and tongue. It consists of tightly clustered bristles that are mounted into a handle. Choosing a toothbrush can be confusing, you have many options and varieties to choose from. You have electric powered or manual toothbrushes, soft or hard bristle, large or small, but which one is the best for you? 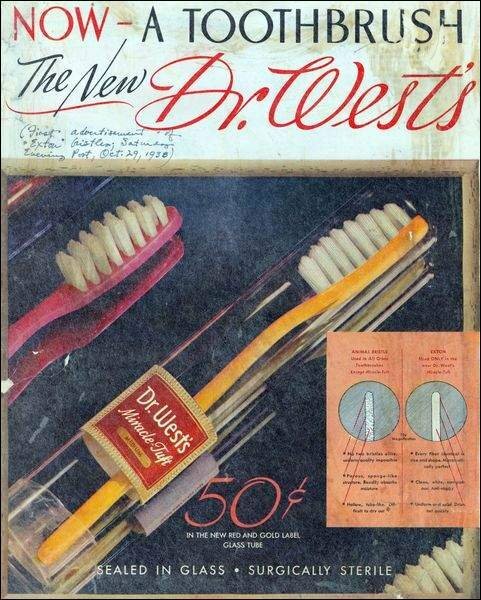 Toothbrushes have come a very long way, the first nylon toothbrush was created in the late 1930’s. There weren’t many options to choose from. The best way to choose the correct toothbrush is by talking to your dentist. Dr. Danial Kalantari of Smiles on Bristol Dentistry recommends to all his patients soft bristle manual toothbrush. They work as efficient as electric powered toothbrushes, as long as it’s used correctly. Dr. Danial Kalantari doesn’t recommend his patients to use hard bristle because it can cause recession of the gums if used with force. The size of the toothbrush depends on the size of the teeth, the toothbrush head should be able to allow easy access to all surfaces of the teeth. Choosing an electric powered toothbrush depends on the patients comfort. 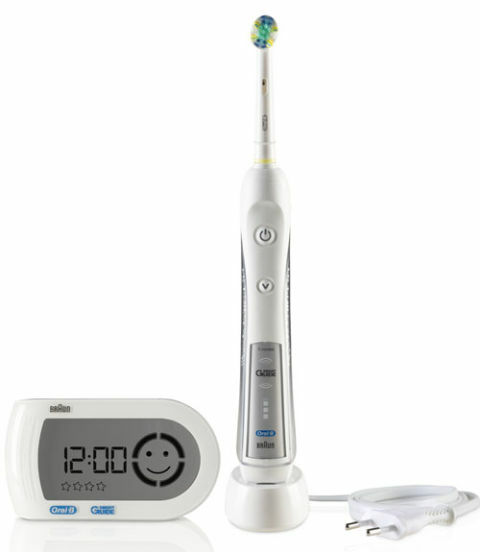 The cost of electric powered toothbrushes is many times higher than regular manual toothbrushes. The heads of an electric powered toothbrush have to be changed every time it begins to wear out. Some electric toothbrushes have interchangeable heads and some are specifically for patients in orthodontic treatment. Electric powered toothbrushes works good for kids, in most cases it gives the kids motivation to brush their teeth. The brushing should be supervised by an adult to make sure the child is brushing correctly and doesn’t hurt themselves. This entry was posted in Uncategorized and tagged choosing toothbrush, santa ana, Smiles on Bristol on January 22, 2016 by Francisco Torres. One of the most popular dental procedures requested at Smiles on Bristol Dentistry, in Santa Ana, is teeth whitening. Professional in-office teeth whitening is not just popular in Southern California, but is also one of the most requested cosmetic dental procedures in the world! Known as in-office whitening, the whitening procedure is done under a professional’s supervision and allows for safe, comfortable and high-powered bleaching. 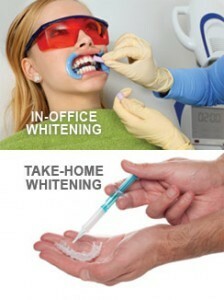 In-office whitening not only gives the patient noticeable immediate results, but it also is done at a higher concentration, which s generally not accessible to those whitening their teeth at home. It’s no surprise Dentists have professional strength whiteners in their office that are more effective than those used by patients at home. Although at home whiteners claim to be a certain percentage of hydrogen peroxide, those used in a dental office could be up to 10x as strong and more effective. Meaning, the more powerful the concentration in the dentist’s office, the more successful the whitening treatment will be. 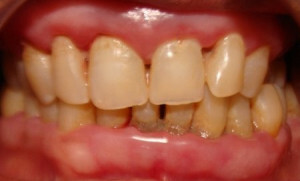 An additional advantage and of going to the dentist to brighten your smile is getting down to those dark teeth stains. While regular at-home whitening kits will make a slight difference in whitening your teeth overall, they are generally not strong enough to get ride of the darker or deeper stains. However, during an in-office treatment, aside from using a strong professional strength bleach, the dentist will typically couple it with a light or laser treatment to make your smile even brighter. Another reason why getting your teeth whitened professionally rather than doing it yourself at home, is that the professionals know what they’re doing and how to whiten your teeth. Typically fearing sensitivity, patients who try to whiten their own teeth may not apply enough whitening product t or they may not apply it correctly. Further, those whitening teeth at home could also run the risk of using too much product or accidently ingesting too many chemicals. Although do-it-yourself teeth whitening products do come with warnings, they’re almost always impossible to follow precisely. For example, teeth whitening products are not to be applied to your gums. Applying the whitening gel when you don’t know how or because you’re not a profession could result in irritation of the gums or the toxic whitening agents leaking into surrounding areas of the mouth. This entry was posted in Uncategorized and tagged santa ana, Smiles on Bristol, teeth whitening on January 19, 2016 by Francisco Torres. Orthodontic treatment is correcting malocclusion, misalignment of a bite, or incorrect spaces. Orthodontic braces help move teeth into position using brackets and wires. When orthodontic braces are placed they are a little uncomfortable and it takes a couple days to get used to. Orthodontic treatment helps not only appearance of teeth but also helps reduce tooth decay and gum disease. Caring for your teeth when you have orthodontic treatment may be difficult. When you have orthodontic wires food tends to get trapped on the brackets or in between your teeth or wires. It is very important to remove all plaque from these places because it can lead to dental problems. If plaque is left for long periods of time it tends to harden and creates build up. If plaque or bacteria is left in between the teeth it can create caries. 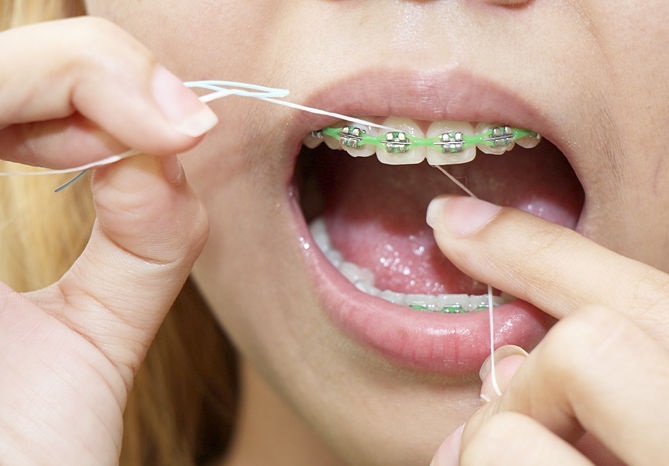 When you have orthodontic wires it is very important for your oral hygiene to improve. Dr. Danial Kalantari of Smiles on Bristol Dentistry tells his patients to brush and floss after every meal. Brush for at least 2 minutes with a soft bristle toothbrush, brushing teeth and against the gum line to remove any plaque. Flossing he recommends a floss threader to clean in between teeth. There is other options such as an electric toothbrush, water picks, or special orthodontic floss. All of these instruments or materials can benefit you, it’s just choosing which is more comfortable to you. There are some foods to avoid when you are in orthodontic treatment. It is best to stay away from sweets and sugary drinks, these can create caries and gum problems. It is also recommended to stay away from sticky and chewy food. This food can get stuck in between the brackets and it is very difficult to remove at times. You also have to be careful when biting hard food for example candies, nuts or ice can loosen or break wires. This entry was posted in Uncategorized and tagged orthodontic braces, santa ana, Smiles on Bristol on January 15, 2016 by Francisco Torres. Dr. Kalantari, of Smiles on Bristol in Santa Ana, says many Southern Californians are walking around with temporomandibular joint syndrome and don’t even know it! Temporomandibular joint syndrome, better known as TMJ, is a disorder of the jaw muscles and nerves, caused by injury to the temporomandibular joint. The temporomandibular joint operates has a hinge as a connection between the jaw and the temporal bones in the skull, located in front of each ear. The joint operates to allow the jawbone to move up and down and side to side. Everyday actions such as talking, chewing and yawing are all done through usage of this joint. 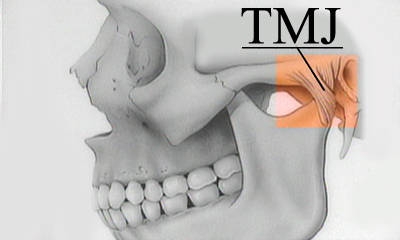 Note: It has been determined that in many cases, the cause of TMJ disorders isn’t always clear. As unclear as the causes of TMJ are, the symptoms, however, the symptoms are more defined. The most common symptoms include pain or tenderness in the face, jaw, neck, and shoulders. This pain can be triggered when you chew, speak or open your mouth wide. Opening your mouth wide can also cause subsequent problems such as jaw locking or your mouth getting stuck open. Another common symptom with TMJ is clicking, popping or other uncomfortable sounds. Even if the sounds are not painful, they’re still considered to be TMJ symptoms. Another symptom, which is often ignored, is the tired feeling in one’s face. Coupled with the prior symptom of clicking and popping, is an uncomfortable bite while eating and chewing. Simply put, it feels as though the upper and lower teeth don’t match or fit together properly. Lastly, another symptom that is ignored and typically misdiagnosed is swelling of the face. The swelling may not be consistent and could come and go; however it is usually on one side. Other symptoms include dizziness, hearing problems and earaches, toothaches, headaches, neck aches, shulder pain and hearing issues. This entry was posted in Uncategorized and tagged santa ana, Smiles on Bristol, tmj on January 15, 2016 by Francisco Torres. Dry mouth which is also called xerostomia is caused by decrease amount of saliva in the mouth when the salivary glands do not work properly. The salivary glands function are to help to keep your mouth moist, which is also prevent tooth decay and some other oral health problems. Medications (Not all but some) in general are the most common cause of dry mouth. The most common medications are antidepressants, painkillers, antihypertensive, tranquilizers, diuretics, and antihistamines. In Smiles on Bristol Dentistry our Doctors try to educate our patient in order to improve their Oral hygiene in order to reduce the risk of tooth decay or other oral health problems. In some cases patients also could take other type of medications which has the same effect on their treatment but less chance of dry mouth which 100% should be based on their physician’s decision. Dry Mouth It also can be caused by radiation therapy and chemotherapy, hormonal alterations, AIDS, diabetes, or Sjögren’s syndrome (is a chronic, autoimmune disease identified by its two most common symptoms, dry eyes and a dry mouth). Some patients with Alzheimer’s disease are also could experience dry mouth. Studies show approximately 30 percent of people over the age of 65 are affected by dry mouth. Dr. Danial Kalantari & Dr. Fernando Arcila in Smiles on Bristol Dentistry are willing to help the patients to prevent dry mouth if possible or decrease the risk of teeth decays or other health problems because dry mouth it can cause difficulty in tasting, chewing, or swallowing. It also allows plaque to build up on your teeth faster, which cause higher risk of decays. Decrease Salivary secretion can also cause tongue sensitivity, causing a condition called burning mouth syndrome. Xerostomia or dry mouth can also lead to bad breath, ulceration, mouth soreness, gum disease, and difficulty in wearing dentures. How can your Dentist help you? Our Dentists in Smiles on Bristol Dentistry at first have to diagnose the problem base on the symptoms associated with dry mouth. If you have any questions about this condition, you can also ask your dentist. 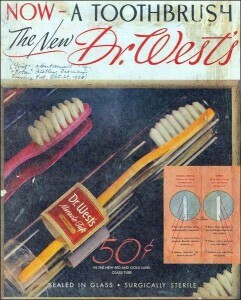 So In General at the end your doctor will recommend that you practice good dental hygiene. This means that you should brush and floss properly. You also should have regular dental visits. Your dentist or hygienist in some cases also will regularly apply fluoride to your teeth. You may be given a prescription for a fluoride rinse to use at home too. Your physician also may work with your dentist to manage your condition which in some cases is very helpful. If you have any questions regarding dry mouth please feel free to contact Smiles on Bristol Dentistry in Santa Ana. This entry was posted in Uncategorized and tagged santa ana dentist, Smiles on Bristol on January 8, 2016 by Francisco Torres. Dental phobia is the fear of dentistry or receiving dental treatment. Dental phobia is one of the most common reasons why people don’t scheduled routine exams. They avoid the dental office at all cost and return or seek help when they are in pain. Dental phobia can affect your oral health, if you hold off treatment until you have pain is not the best thing to do. In most cases the tooth can be restorable but the fear of going to the dentist and not having the treatment completed can change the diagnosis. Dental phobia can be related to previous experiences, the fear of pain, or the loss of personal space. One of the main reasons why people develop dental phobia is from past experiences, maybe their first visit to the dentist wasn’t as expected and then they think that all dentist or dental visits are the same. Fear of pain is another reason why people develop dental phobia, you are not alone most people are afraid of needles and avoid the dentist at all cost for this reason. Another reason could be that they feel uncomfortable having somebody so physically close to you. At Smiles on Bristol Dentistry we try to help patients cope with dental phobia. Most of the people that have dental phobia will say something regarding their fear. Most are from past experiences and we try to make them feel as comfortable as possible to change their perspective. We play movies when they are waiting in chairs to keep their mind occupied. If a patient has a fear of dental treatment Dr. Danial Kalantari create signs with the patient that will let the Dr. know that the patients need a break. This entry was posted in Uncategorized and tagged Dental Phobia on January 8, 2016 by Francisco Torres. Deciduous teeth also known as baby teeth or milk teeth are very important to a child. These teeth help a child speak and chew normally. They do have a better purpose other than to chew and speak, they keep space available for the permanent teeth to grow into the space. That’s why it is very important to keep the deciduous teeth as long as you can until it’s time for the permanent tooth to erupt. Brushing and flossing your child’s teeth is important to keep the tooth healthy and free of caries. 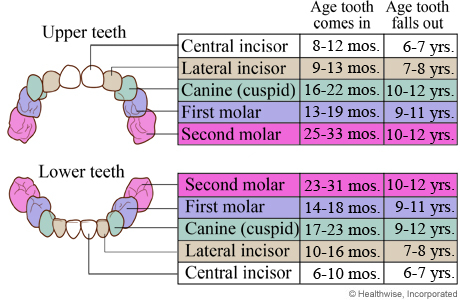 When a child has all deciduous teeth in mouth there will be 20 of them. These teeth begin to grow at 6 month of age, and they all have timeline of when they will fall off. If a deciduous teeth comes off at an age where it isn’t supposed to come off then the neighboring teeth will begin to close space and this will create a problem to the permanent tooth to erupt. Sometimes they will block the permanent tooth from erupting or the permanent tooth erupts in an unaligned space. Keeping the deciduous teeth caries free is very important. At Smiles on Bristol Dentistry Dr. Danial Kalantari advises and teaches kids and parents the importance of keeping the baby teeth healthy. One of the main reasons where a child needs a tooth extracted is cause by caries. When the caries has affected the tooth where it is not restorable then the last option would be to remove the tooth and maintain the space available for permanent tooth. The way this is done is with an appliance called space maintainer. Deciduous teeth are temporary but you have to maintain them like if they were permanent. You create a habit if you maintain your child’s baby teeth for the future permanent teeth. Sealants are highly recommended on deciduous teeth. They prevent caries, this will help keep the baby teeth in mouth until it’s time for the permanent teeth to erupt. Sealants are a thin layer of resin that protects the grooves of the teeth. At Smiles on Bristol Dentistry Dr. Danial Kalantari recommends preventative measures to protect primary teeth. He give kids toothbrushes, floss, and dental paste. This entry was posted in Uncategorized and tagged Deciduous teeth, dr. danial kalantari, primary teeth, santa ana dentist, smiles on bristol dentistry on January 8, 2016 by Francisco Torres. Perhaps you possess obtained inside a clutter because of prep work challenge and distressed simply because you didn?t acquire the method for a unique dilemma. Certainly, the key reason why enrollees can’t have their head into being projects performed on time is usually deficiency of ample time to complete the activity. All of our Tutors are not aware of the time and effort students ought to place in to come up with a fantastic essay. Plenty of method for this scenario is to seek out specialized help from posting expertise that specializes in challenge allow. For anyone who is prepared to secure assist to your providers, you could be wanting to know, can I trust you to definitely craft a new daily news in my little part? You actually can certainly. A lot of our support have been shown to be one of the best for you personally since we carry on with your personal operating instructions in addition to amass any pieces of paper made from scratch. Our best freelancers your own that will fulfil your anticipations. A strategy to every one of your troubles. This entry was posted in Uncategorized on January 2, 2016 by khosrow.